Inspired by the bustling city of London, this stunning piece is oh-so chic and a tad bit funky. 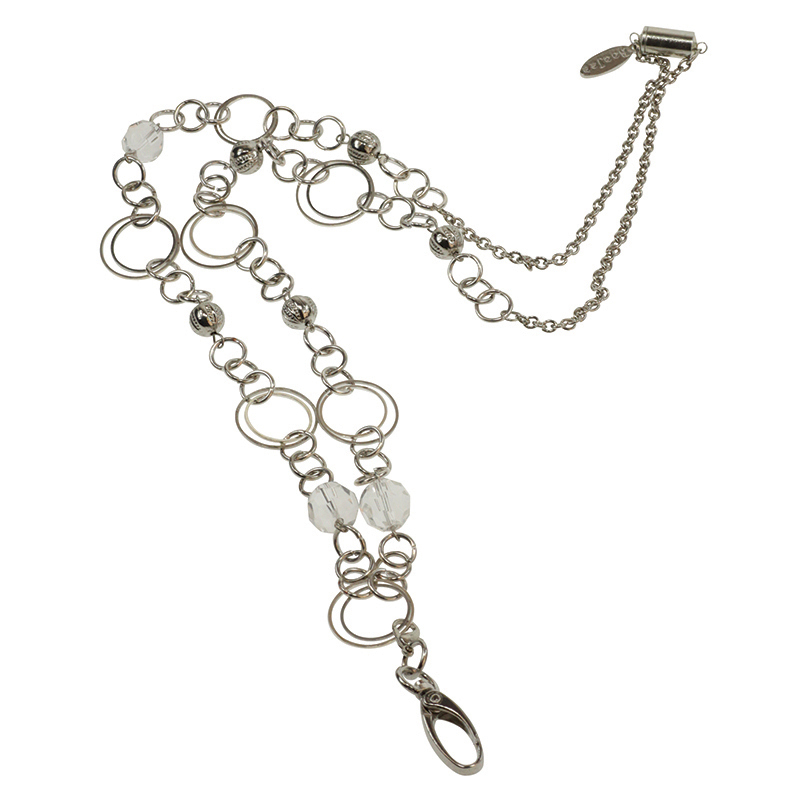 The silver metal loop accents and clear beads make the London a piece that goes with everything from pantsuits to scrubs. Wear it with the silver hook attached to hold your ID or access card while at work and then remove the hook to reveal an adorable necklace. Features: Handmade. Magnetic breakaway safety clasp. Removeable fashion ID hook. 38" long (hangs 19" from back of neck).